Age 77, a resident of Matteson formerly of Dolton, Crown Point, IN, and Scheller, IL, passed away on Sunday, February 11, 2018. Beloved wife of the late John James Scally, Sr.; loving mother of Timothy (Gail) Scally, Patricia (William) Keenan, Michael (Dawn) Scally and the late John James Scally, Jr.; dearest sister of Jeff (Nancy) Satterfield, Elaine (Gene) Huckabee, Karen (Rick) Royals, the late Kenneth (Judy) Satterfield, the late Brenda (Marion) Lee and the late Judy (Junior) Smith; cherished grandmother of Micheal Scally, Jason Scally, William Keenan and Nicholas Scally, also survived by numerous loving nieces and nephews. 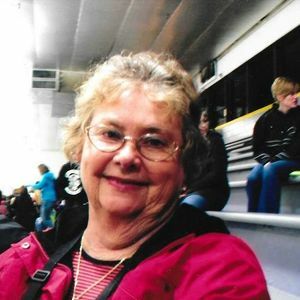 Betty was a school cafeteria manager for School District #149 in Calumet City for 23 years. The family will receive friends at Kurtz Memorial Chapel, 65 Old Frankfort Way, Frankfort, IL 60423 on Wednesday, February 14 , 2018 from 9:00AM until time of funeral service at 11:00AM in the funeral home chapel. Interment will follow to Abraham Lincoln National Cemetery, Elwood, IL. In lieu of flowers memorial donations to the American Diabetes Association, www.dibetes.org . Info www.kurtzmemorialchapel.com or 815-806-2225.